Terrea&apos;s music is now available on iTunes, Amazon, Spotify, Google, Deezer, Xbox Music and Rdio! Below are samples from Terrea's CD, Terrea Lea, By Popular Demand. Most are about thirty seconds long. 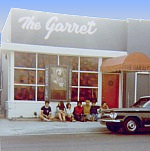 These used to be part of The Garret's record store, but Café Press stopped offering that service. Depending on your connection speed, it may take a minute or so for the player controls to appear. We apologize for the inconvenience.